Fanny Wang 3000 ANC Over Ear Wangs review | What Hi-Fi? Despite the company’s less-than-serious name, Fanny Wang has turned out some pretty decent pairs of headphones in the past. 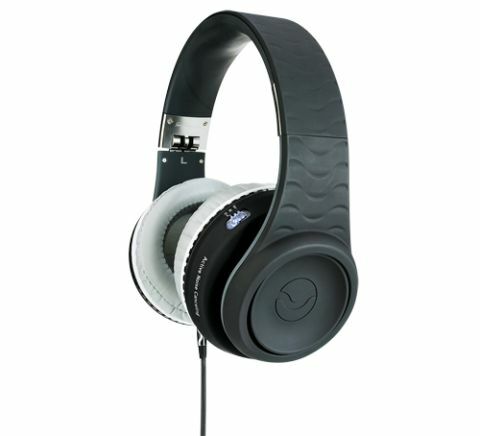 We gave its On Ear Wangs a solid four stars back in September 2011’s headphones megatest, and the Fanny Wang 1000s missed out on a fourth star only due to a slight lack of dynamism. The Fanny Wang 3000 ANCs are the company’s top-of-the-range cans, but we aren’t too impressed with their build quality. The headband is good and sturdy but the earcups look and feel a little cheap – and the cover for the twin AAA batteries on our review sample felt like it would fall open if jolted. We aren’t blown away by their fit, either. Every head shape is different, obviously, but a few members of the team complained that the seal wasn’t as good as it could be at the bottom of the ears, while others found them a little tight. When it comes to blocking out the din, the Over Ear Wangs are reasonable, but nowhere near the standard set by the likes of the Bose QuietComfort 15. They are low on hiss, though. In use the Wangs’ character is very boxy-sounding. It’s all bright treble and honking midrange – not particularly pleasant to listen to. Switching the cans to ‘bass boost’ mode doesn’t help, either – it serves only to make the sound even more boomy and sluggish, but still with that grating, strident treble. Turn the noise-cancelling off and the sound folds itself in around the edges and accentuates that midrange character. Good points? There’s admittedly a reasonable amount of detail on offer in noise-cancelling mode, and dynamic shifts are handled quite nicely – but it’s just all too muddled to make proper sense of. You can do far better, for less money, elsewhere.